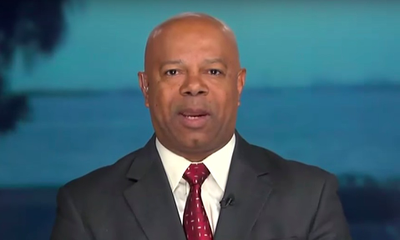 Great work from @PardesSeleh who highlights the talented @davidwebbshow schooling a guest who tried to pull the race card on a conservative black man. Great illustration of why anti-meritocratic racial anxieties so often manifest in prejudice.
.@davidwebbshow: "How do I have the privilege of white privilege?” @ArevaMartin: “David, by virtue of being a white male, you have white privilege.” (Awkward silence) "...I hate to break it to you, but you should have been better prepped. I’m black."